Microbiology in Dairy Processing offers a comprehensive introduction to the most current knowledge and research in dairy technologies and lactic acid bacteria (LAB) and dairy associated species in the fermentation of dairy products. The text deals with the industrial processing of milk, the problems solved in the industry, and those still affecting the processes. The authors explore culture methods and species selective growth media, to grow, separate, and characterize LAB and dairy associated species, molecular methods for species identification and strains characterization, Next Generation Sequencing for genome characterization, comparative genomics, phenotyping, and current applications in dairy and non-dairy productions. 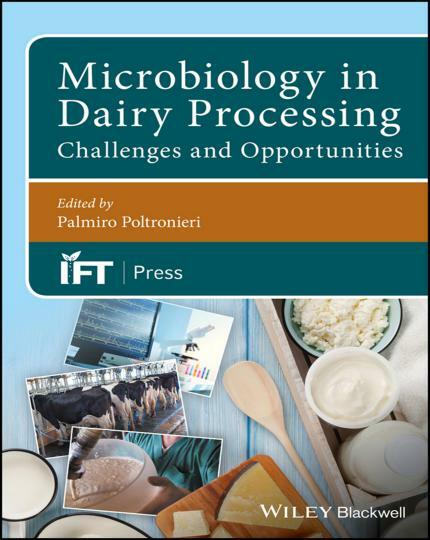 Written for laboratory technicians and researchers, students learning the protocols for LAB isolation and characterisation, Microbiology in Dairy Processing is the authoritative reference for professionals and students. The chapters deal with the industrial processing of milk – the problems solved and those still affecting the processes, from microfiltration to deterioration of stored milk in cold by psychrotrophic bacteria (such as Pseudomonas fragi) and by spore‐forming bacteria – and cheese‐manufacturing technologies. The book introduces culture methods and species‐selective growth media to grow, separate and characterise LAB and dairy‐associated species, molecular methods for species identification and strain characterization, Next Generation Sequencing for genome characterization, comparative genomics, phenotyping, and current applications in dairy and non‐dairy productions, as well as the potential future exploitation of the culture of novel strains with useful traits (probiotics, fermentation of sugars, metabolites produced, bacteriocins).